You might not get to retire when you expect. I can’t say that with 100% accuracy, of course, but it wouldn’t be unheard of. Too many people think of retirement as a sure thing. They anticipate working hard until 65 (usually) and then they get to sit back and enjoy their Golden Years. Taking this kind of relaxed approach to retirement is how people end up putting off this important milestone for years and years. Sadly, some will never get there. 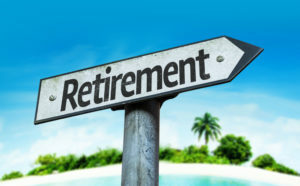 While many factors can have an effect on the day you get to begin retirement, the following are the most common ones you absolutely must keep in mind. Interest rates always play a role in financial planning. This is never truer than when it comes to retirement. Most advisors normally recommend that an actual withdrawal rate of 4% will give you enough to live in comfort. If you had $1,000,000 saved, for example, you’d get $40,000 to live off of every year. Without a doubt, interest rates are going up. This is largely controlled by the Federal Reserve and is done to help promote a healthy economy. When interest rates go up, people tend to borrow less and this can have a negative impact on spending, which means stock prices typically fall. In other words, you might need to drop to 3.5% or even lower. Otherwise, that would slow your plans for retirement. As Jeff Cox at CNBC points out, though, markets usually normalize within 500 days. Still, depending on how you’re invested, you might want to review your portfolio. On the other hand, rising interest rates mean opportunity, too. If you know what you’re doing, you could pursue an earlier retirement than you originally planned by rearranging your investments. A long time ago, if you worked for an employer long enough, you could expect that they would largely repay the effort when you retired. The Pension Benefit Guaranty Corporation was even established by Congress in 1974 to make sure countless employees had these retirement packages to look forward to. By 2011, the PBGC was drowning in a deficit of well over $34 billion. While this doesn’t necessarily mean your plans for retirement will go up in smoke, it’s a good reminder that the vast majority of people need to take a much firmer grasp of their plans. In many cases, this may entail pushing back the date of retirement. Without a doubt, the way you spend money affects your retirement plans. We’ve talked about retirement spending before, but it makes sense to bring it up again here. You’ll need to think long and hard about how you plan on spending your retirement and, quite literally, what you intend on spending. If you haven’t put a significant amount of time into financial planning, you may not be able to retire for long. This also requires that you look at your spending now. Do you have a budget? Are you in control? Sure, you might not have money troubles, but does your monthly spending fluctuate considerably? These are the kinds of habits you’ll bring into retirement. It’s not as though some magic date on the calendar will all of a sudden bring your expenditures into check. Furthermore, one bad purchase could mean retirement has to wait. You may even know someone who spent their bonus on a money hole that cost them dearly. Others can’t help but throw their cash at a get-rich-quick scheme even though they were on the path to retiring on time. We’re not the only ones to have made this point either. Yet, she also states that Social Security is the sole source of income for nearly 25% of senior citizens in our country. This should serve as a good reminder that you need to have other options ready. How accurate is that prediction? Will something be devised to replace Social Security? What will happen to those who absolutely need it? No one knows the answers to these questions, which is why you shouldn’t rely too heavily on Social Security funding your retirement. If you do, the date you retire is probably going to change. Finally, the cornerstone of your retirement prospects is how seriously you’ve been taking financial planning. 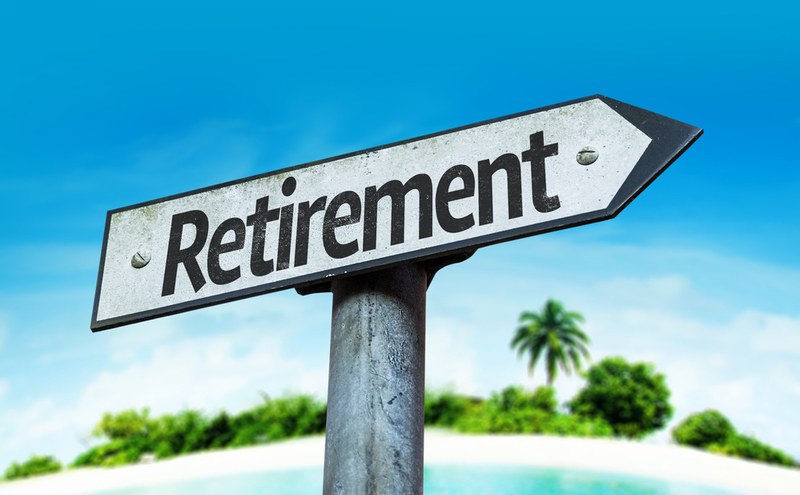 Retirement is something you must take seriously or it will always be on the horizon. It’s not something you need to revisit every single day, but as we talked about with your purchasing habits, financial planning should play a role in your day-to-day decisions. We know that retirement planning can be stressful. This is one of the biggest benefits of having a professional handle your financial planning for you. You can stay focused on other priorities while professionals work toward keeping you on track to retire on time. If you’d like to work toward retiring on time without obsessing over the details between now and then, Mooney Lyons is here to help. Contact us today and let’s talk about when you’d like to retire and how to pursue that goal. Bonds are subject to market and interest rate risk if sold prior to maturity. Bond values will decline as interest rates rise and bonds are subject to availability and change in price. Investing involves risk including loss of principal.